Factropolis -- A Fun Fact Every Day! : The Vikings wore primitive tube socks made from sheeps' bladders and peat moss. The Vikings wore primitive tube socks made from sheeps' bladders and peat moss. look up the word nalbinding. 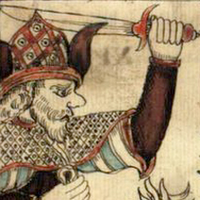 Vikings wore sophisticated socks of wool.